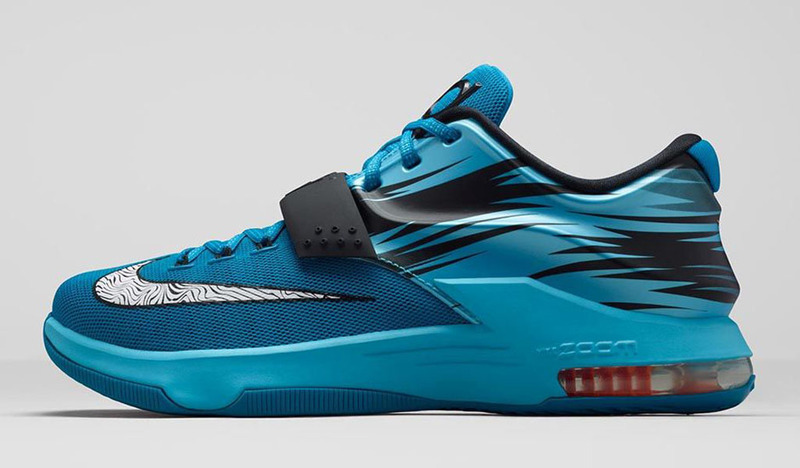 Our best look yet at the latest colorway of the KD 7. 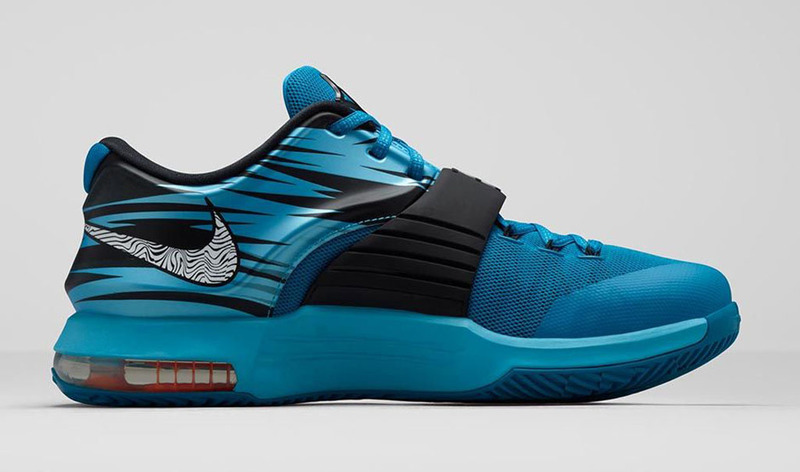 Nike Basketball debuts an alternate 'Away' colorway of the KD 7 for the New Year. 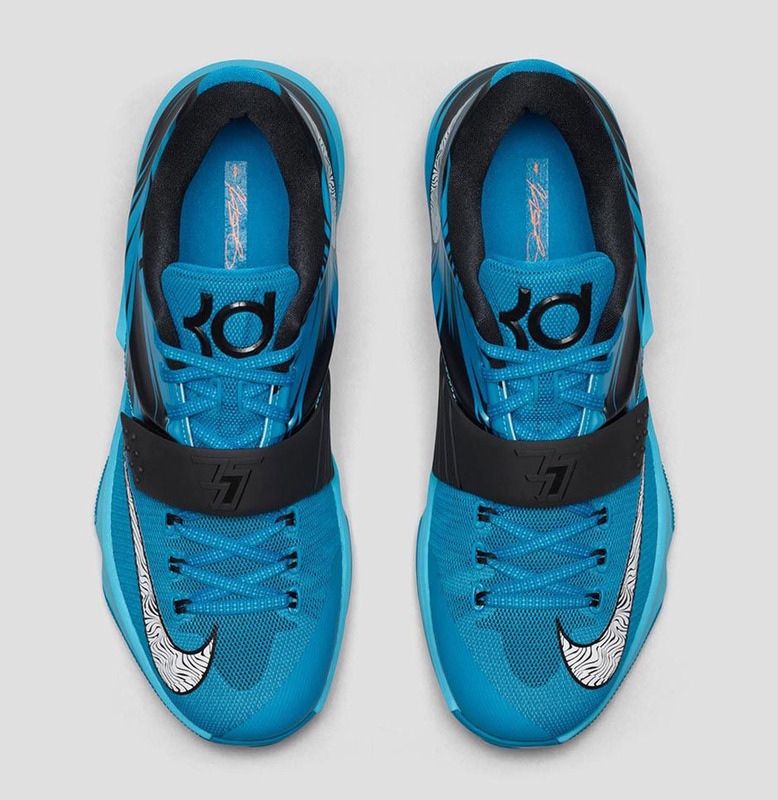 Known as the 'Blue Lacquer' edition, this Nike KD 7 comes in a light blue lacquer, clearwater, total orange and white colorway. 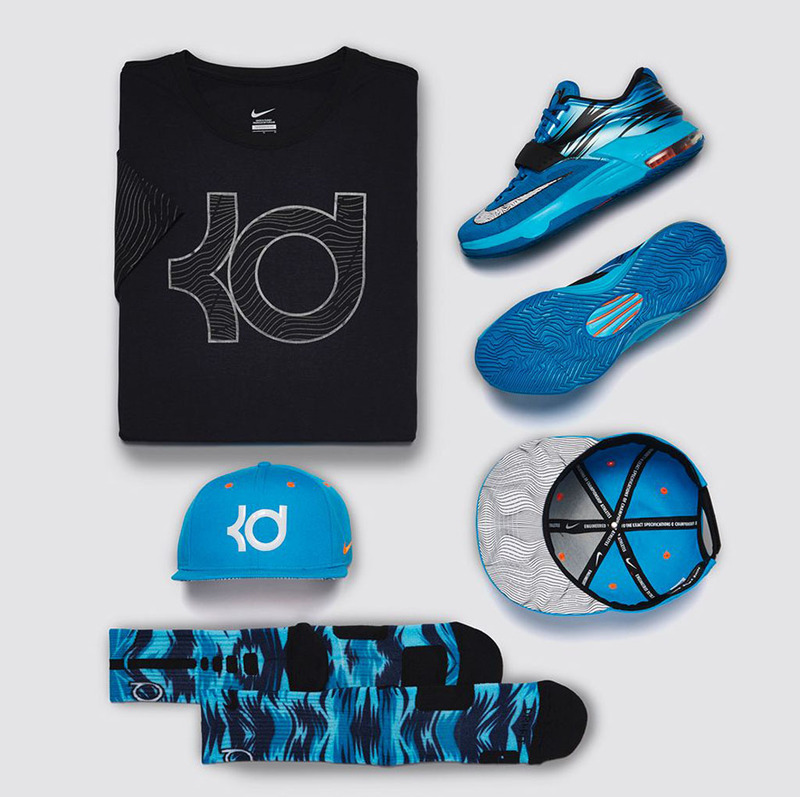 Made for Kevin Durant to wear on the road for the remainder of the regular season. 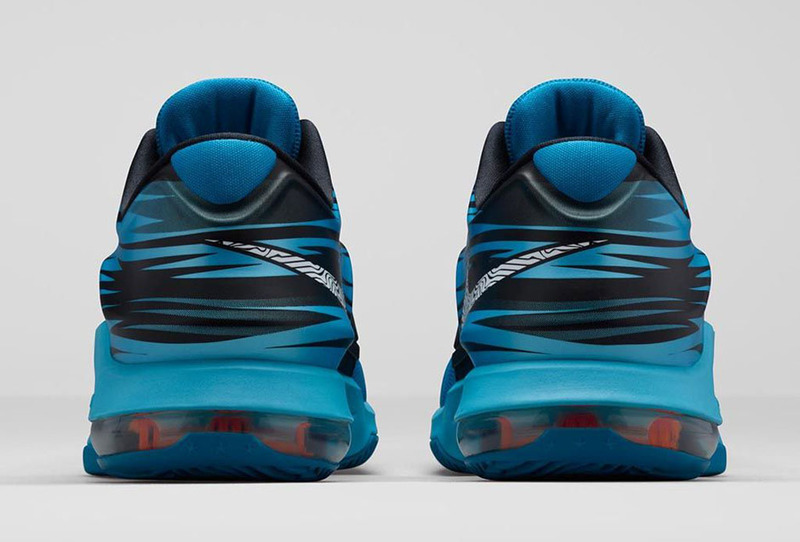 They feature a unique camouflage and lightning inspired graphic wrapping around the Hyperposite heel. Black accents, a white Swoosh on the toe and inside heel along with an orange Zoom Air unit finishes this pair off. They will be available in full-family sizing, down to toddler with matching apparel to coincide with the release. 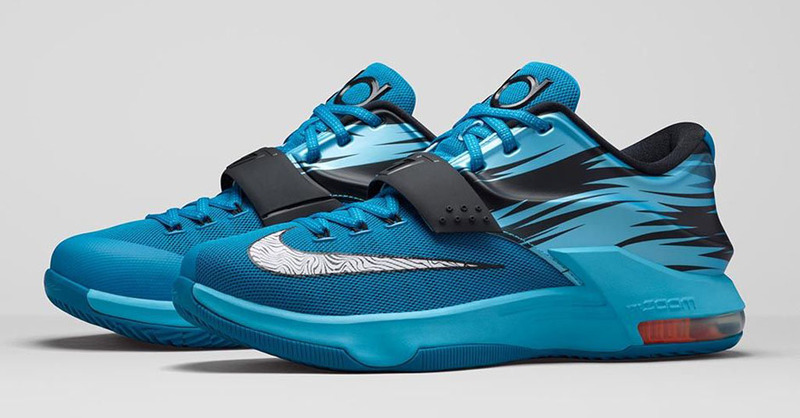 The 'Blue Lacquer' KD 7 hits nike.com as well as select Nike Basketball retailers on Thursday, Jan. 15.